Praggnanandhaa is just 10 years and 10 months old, and he is about to receive his IM title soon, as he recently earned his third and final IM norm in Bhubaneswar in India. 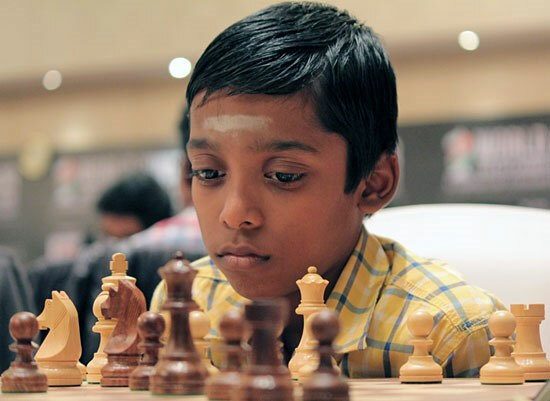 Praggnanandhaa is the youngest chess IM in history. A couple of years on, the kid who slept during a game is one of the biggest stories in world chess. The 10-year-old from Chennai achieved his third and final International Master (IM) norm after beating a Grandmaster and holding two others at the KIIT International Festival of Chess in Bhubaneswar. When I was 10 years old, I have yet to learn how to play the game of chess. Thus, R Praggnanandhaa has at most 21 months to finish his GM norms in order to beat the current youngest GM ever, the challenger in this year’s world championship, Sergey Karjakin. We’re eager to watch out for that if he could indeed make it. For your reference, the following is the list of the youngest GM’s, their age when they achieved them, their birthyears, and the year they achieved their GM title.